PXN is the world's first inflation-based proof-of-stake coin which also features a private and decentralized blockchain with fully open source code that allows everyone to take part in the PXN network development. Privacy and security come inherently. PXN is the clear choice for those who want to keep their financial confidentiality. Instant private transactions are provided globally by the PXN Network; they are totally untraceable; and additional fees are non-existent. PXN Foundation is proud to propose our PCN revival solution implemented in 2 phases with one focus: creating a solid infrastructure to start returning value to PCN holders in the shortest time possible. Establish the PXN Foundation as a decentralized entity and Implement a community voting system governance. Provide the necessary collateral for Brand and Marketing and manage the various community social media platforms. Provide technical support and technological upgrades to assist in stabilizing the market value for all PCN investors. Maintain and update current PCN Wallet and Blockchain with minimal changes to the latest PCN codebase. Implement an informative website for PCN/PXN. Pursuing control over the current PCN blockchain through establishing productive relationships with exchanges, information websites like Coin Market Cap, authorities, etc. If “SWAP” has been voted for by the community, there are 2 options available for participants. The below figures represent the proposed swap details for investors to choose 1 of 2 options (both having their own advantages). The swap will be based on a timescale, that decreases in value over the course of 6 months. All PCN holders are eligible to participate in the swap. Each participant needs to manually send their coins to the transparent swap wallet. Participants will receive their PXN amount automatically and instantly. Participants are required to manually send their chosen PCN amount to the Swap Wallet and also provide their PXN address. The system calculates their equivalent PXN amount and transfers the amount to their nominated PXN address to start staking PXN. After the swap deadline has been finished, participants who choose this option will receive their original PCN amount back into their initial PCN wallet address based on a FIFO (First In First Out) system. Participants of PCN/PXN swap via option 1 will also be entitled to receive their equivalent amounts on any future airdrops for PCN holdings which may happen during the 6 month swap timeframe. The system calculates their equivalent PXN amount (+ extra option 2 allowances) and transfers the amount to their nominated PXN address to start staking PXN. The fully transparent swap wallet would hold all PCN funds, with the staking rewards being used to fund the early stages of the project. The amount an investor chooses to use for participating in the Swap is completely at their own discretion with no limits being imposed by the PXN foundation. 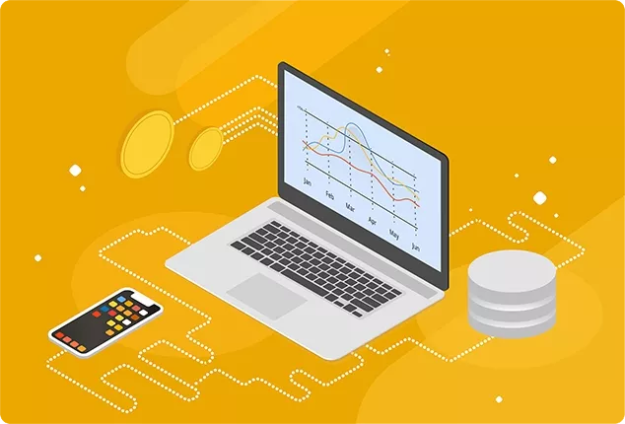 However, they must keep in mind that the incentive to put as much as possible into the Swap Wallet at early stages, would result with more PXN instantly, due to the depreciating time-scale system. Everything mentioned in the above proposal is subject to further calculations and final approvals and may change. The hypothesis of using a small percentage of the coins that will not be swapped, is for the purpose of subsidizing any operations such as server purchases, listings on exchanges, the creation of masternodes, and anything else that may be necessary. These funds, if the community decides to accept, will be deposited on a specific verifiable address and the transactions carried out must always have payment fees to verify the correct use of this money. No expenditure outside of these terms will be possible and must always be validated by the team with a vote. Aside from the Dev fee, all remaining un-swapped pre-mined coins will be permanently burnt/destroyed. PEEPCOIN was announced in July 2016 with some unrealistic claims, the original dev abandoned the project shortly after the initial announcement. Two years later the second attempt was even worse and almost destroyed the coin completely but this time the community stood up and as a result PXN was born. The important part of cryptocurrency is privacy and anonymity: the main focus of a financial transaction. The basic idea is that developers can come as they wish and work on any part of the code. Customer satisfaction is the key to business success. Service is the most important factor in platform viability. Staking rewards would be adjusted autonomously to balance market demand and stabilize the price. It’s a new word in payment solutions: new tech will make transactions even easier for the end-users. The system and trading cannot be stopped. Every aspect is transparent, and the code is open source. Join us on your favorite social networks and be a part of a community of decentralization believers all working to help protect and improve the blockchain technology! From breaking news, tips on staking, masternode updates, and calls to action that make a real and lasting change in cryptocurrency development ecosystem. PXN is a community-driven coin, and we take pride in being able to interact with our community via our Social Media presence. Are the new Swap and Coin Specs finalised? No. These specs are open for discussion and change if the community consensus disagrees with any aspect, they are not final. Why does PXN not have a max supply? PXN, much like other POS currencies, does not have a max supply because once PXN is faced with demand there will be a supply to match. All FIAT currencies do not have a max supply, however due to inflation they lose value over time. PCN right now is facing huge inflation and devaluation issues due to the extremely high reward/interest rate of 100% per year. Why will PXN staking be Dynamic? What does this mean? PXN’s dynamic staking is based on the overall price of PXN. The lower the price (currently and the immediate future) the lower the staking rewards to maintain price. The Higher the price (in the foreseeable future) the higher the staking rewards. This means that with growth over time, the total supply of PXN will not explode out of proportion, and it will be able to maintain healthy stable growth in the market over the course of many more years to come. Is there a minimum or maximum amount of PCN that can be swapped during the 6 month swap period? There is no Maximum amount that can be swapped, however there is a minimum of 1000 PCN per swap transaction. Please keep in mind: The earlier you swap, the better the swap ratio based on the daily timescale depreciation system, which means more PXN instantly to start staking. What Operating Systems will the wallet run on? The supported operating systems right now are Windows (32-64) and Linux. However in the next Phase of the project we will move to supporting Mac and possibly Raspberry PI too. What is happening with the Old Devs wallets and funds? Will he get PXN too? We believe that the Old Dev is no longer in possession of a large sum of PCN coins anymore. Looking through the blockchain and transaction histories, we believe that he sold most, if not all of his PCN previously when the price reached 5-10 Sats. The largest holding wallet (7 Billion) is not staking. Meaning it is most likely a cold storage belonging to the one of many exchanges that PCN is listed on, and the second largest (4 Billion) purchased more PCN just after the announcement that made the price of PCN crash – meaning, this could very well be an avid investor of PCN and deserves the right to swap to PXN if he/she/they choose to. What will happen to PCN after the swap? Will my PCN be useless if I choose option 1 (Refundable PCN) after the 6 months swap period? This is something that we cannot foresee. PCN will continue staking and it’s blockchain and codebase will remain untouched. However we must remind all investors that once this project moves to PXN, the chances of another Dev picking up PCN afterwards may or may not happen. If it does happen, we cannot guarantee that the project will be genuine and this may be weeks/months before another project is up and running. This is a decision that must be made by the individual investors themselves. However is you choose option 1 for the swap, you will receive your PCN back, at the end of the 6 months swap period. What investors choose to do with this, is entirely up to them. How many PXN will I get if I swap 1 Million PCN with Option 1? What will be the use cases for PXN? This is currently to be determined (TBD) through a voting process with which the community will have a chance to voice their opinions. What will the staking rate of PXN be per year? The staking rate has not yet been determined, this will be something that the community will vote on at a later stage. When will PXN coin and wallet be released? These release dates are not yet available. We are currently in the process of creating a new GUI and adding some features. Once it is ready though, we will announce the Beta test. Will the swap from PCN to PXN be conducted through the existing PCN wallet or a new PXN wallet? Exchanges will accept our proposal to rebrand PCN to PXN. Exchanges will not accept our proposal to rebrand, so we will need to swap. If a swap is required, then PXN will be transferred directly to the new PXN wallet. If a Rebrand can be achieved, then the existing PCN wallet will be upgraded and used. What is happening with exchanges and PXN? Will they be accepting the swap to PXN too? Or will PXN be listed as a new coin? Scenario 1: Exchanges accept the rebranding of PCN to PXN, listings remain the same and PXN will start trading on all exchange platforms that PCN is currently listed on. Scenario 2: Exchanges reject our request to rebrand. If this scenario plays out, a full hard fork of PCN to PXN will be taken as action. New listings will be organised for PXN and paid for with the funds from the staking pool. If my PCN coins are in the swap wallet, what if an airdrop becomes available from another project? Option 1 (refundable option): The PXN Foundation will ensure that all airdrops throughout the 6 months swap period that become available, will be available to these participants to receive their equivalent airdropped coins. Option 2 (nonrefundable option) participants who choose this option will not be eligible to receive any other airdrops throughout the 6 months swap period as they will be giving up their PCN permanently for a higher swap ratio of PXN (50% more than option 1). How many PXN will I get if I swap 1 million PCN with Option 2? Will I be better off waiting for 6 months to stake my PCN and then swap to PXN? Copyright © 2019 by PXN Foundation. All rights reserved.